Why call five bakeries when you can call one? 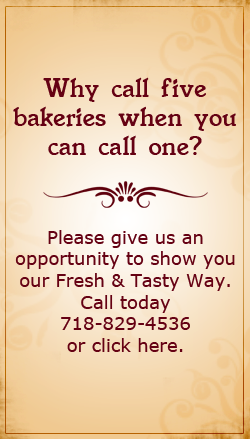 Since 1962, W0 have been a one stop shop and trusted source for Fresh Baked Goods in the Tri-State Area. Please give us an opportunity to show you our Fresh & Tasty Way. Contact us today click here.